Today saw the start of an International Cricket Council (ICC) tribunal in Bangladesh, which will investigate claims of match fixing in the 2013 Bangladesh Premier League (BPL). Amongst the individuals being investigated is Kent all-rounder Darren Stevens, who is not charged with match fixing, but with failing to report a corrupt approach made to him while he was playing for the Dhaka Gladiators. If he’s found guilty then he faces a ban of up to 5 years, which, for a player approaching 38 years old, would surely mean the end of his career. I should declare an interest here. As a Kent supporter, Steven’s rambunctious batting displays over the last few years have been a source of rare pleasure. He’s a fine batsman, in both the short and long forms of the game and a useful medium pace bowler. This season has probably been his best ever; scoring a blazing 44 ball century as Kent successfully chased down a seemingly impossible target of 337 against Sussex in the YB40 competition, and a mature, unbeaten 205 to give Kent their first home County Championship win in their last game of the season. These performances are even more incredible when you consider that he has had the threat of this investigation hanging over him for most of the season. At first glance, his punishment might seem harsh, considering that he hasn’t actually done anything corrupt, except that is the problem, he is alleged to have done nothing, when he should have done something. In this case (as in most), ignorance is no defence. Passage 2.4.2 of the ICC code of conduct is very clear on this matter, all approaches should be reported without undue delay. 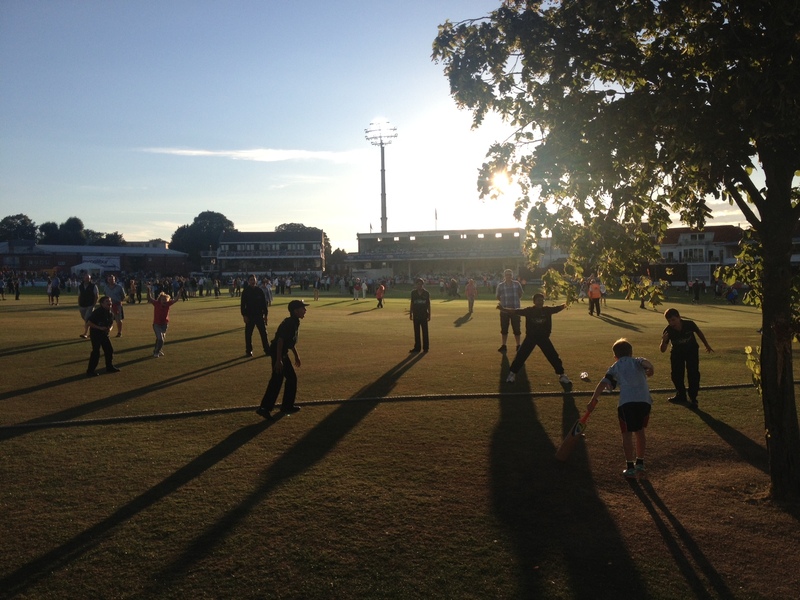 As a Kent player, Stevens would have been well aware of these rules as the England and Wales Cricket Board (ECB) is very pro-active in educating county cricketers about their responsibilities in this area. Stevens has said that he will plead not guilty to the charge, and in his statement, insisted that he had not been involved in any corrupt activity. The fact that Stevens has pleaded not guilty is interesting, not because I’m suggesting he’s guilty, but because he has stated publicly that he is going to Bangladesh to save his career. The maximum punishment is a 5 year ban, but, typically, somebody pleading guilty would likely get a reduced sentence. However, even a two year ban for Stevens would mean he would be turning 40 by the time he was allowed to return to playing professional cricket, so pleading not guilty and aiming to be cleared by the tribunal may be his best option of saving his career. Many fans are critical over the way that the global sport is run, and have questioned the success of the ICC, and it’s dedicated Anti-Corruption and Security Unit (the ACSU), which led the investigation into fixing in the BPL. It has relatively small resources to deal with a global problem and often seems to be several steps behind those that it is trying to police. It is not helped, of course, by the fact betting is illegal in Bangladesh (and, more importantly, in India), which makes it impossible for the authorities to have a constructive relationship with bookmakers, as they do in the UK, where bookmakers are legally obliged to report suspect betting patterns. One of my other great sporting passions is professional cycling, which as I’m sure readers will know, is a sport that seems irrevocably tainted by the problem of doping. For a long time, cycling’s governing body, the UCI and those working within the sport seemed happy to brush the problem under the carpet. Even when testing was made more rigorous after the infamous Festina scandal of 1998, there remained stories of positive test results being suppressed and shady deals being done. The UCI seemed to think that it was better to keep negative stories out of the public eye, which in turn made the problem worse as riders felt they could get away with cheating and fans started to lose their faith in the sport. The Hansie Cronje scandal blew the lid off the murky world of match fixing in cricket, but nobody seemed entirely surprised, even some of his fellow players. Many believe that the sport is still deeply corrupt. No matter how well the ACSU do their job or how stiff the penalties are, there will always be those greedy enough to risk their careers to make extra money by either fixing matches, or just providing valuable information to bookmakers (which is also an offence under the ICC code of conduct). What cricket must learn from cycling is that a credible zero tolerance policy is the only way of ensuring as few people are tempted as possible. Rules must be strictly enforced and those who are found guilty need to be dealt with as severely as possible, or the whole system will be undermined if the rewards continue to appear to outweigh the risks. This might seem tough for those players unwillingly caught up in scandals, but by doing this it means that those seeking to corrupt the game risk exposing themselves every time they approach a player to fix a match or to provide information. It is possible that players may be scared off reporting approaches if those who approach them threaten them with reprisals. Put yourself in the place of a cricketer, playing T20 cricket in a foreign country, surrounded by people he doesn’t know. Then imagine an approach by people, who by their very nature are likely to be unscrupulous; it’s not a position I’d like to find myself in. For the system to work, authorities must be aware of this and show a commitment to protecting those players who are brave enough to speak out. Fans and other players must also do their bit, by not scapegoating those who speak out, as happened in the case of Tony Paladino, the Essex cricketer who reported Mervyn Westfield. As I mentioned above, it’s hard to imagine cricket making a significant impact on taming corruption, when gambling is illegal in India, the country that dominates the sport. This is, of course, out of the hands of the ICC, but as we saw in Ed Hawkins’ excellent “Bookie Gambler Fixer Spy”, the Indian gambling industry is large and well organised, prohibition has failed and actually makes the problem of sporting fraud worse, especially when the police themselves are often seen to be corrupt. One wonders how long the Indian government can continue to overlook the economic and legal benefits of legalising the gambling industry in deference to those who cite moral and religious reasons for not doing so. Like most fans, I abhor the idea of sport being corrupted, but I’m not naïve enough to believe it is not widespread. When a player like Darren Stevens, who represents all that is exciting on a cricket field is drawn into this world it does test your loyalties. I would be very sad if I could never see Stevens in action for Kent again, but IF he is found guilty then I accept that our loss is cricket’s futures gain. This entry was posted in County Cricket, International Cricket and tagged Bangladesh, BPL, cricket, Darren Stevens, ECB, Gambling, ICC, India, IPL, Match Fixing, sport, Spot Fixing, T20, Twitter on January 19, 2014 by Stumped. Forgive the hyperbole (this is a blog, after all, not the BBC), but how good was that? It may have been a fairly low scoring game, but I can’t think of a much better advert for test cricket, let alone women’s test cricket, than that game. The best sporting contests are always the ones that ebb and flow, with one team seeming to gain control, before either giving it up or having it wrenched out of their hands. At the end of day 1 I felt England were marginally ahead; their score of 201 seemed light, but this was always going to be a pitch that favoured the bowlers and sure enough, by the end of play Australia had lost both their opening batsmen to Anya Shrubsole and England’s bowlers had their tails up. Day two saw more damage, with test match debutant, Kate Cross getting two key wickets, before the Australian middle order finally got some traction with Ellyse Perry scoring a potentially match saving 71, helped along by Jodie Fields and Erin Osbourne. They were eventually all out for 207, a lead of just 6 runs. England’s second innings followed a very similar pattern to Australia’s first innings, as once again the pace bowling of Perry and Farrell destroyed their top order as England reached stumps at 18/3. The pattern continued the following day as England’s gutsy middle order rallied, including a very impressive 56 from their captain, Charlotte Edwards, who was batting at 7 having been struggling with a knee injury. England were eventually all out for 190, setting Australia a target of 185 to win the match. It really could have gone either way, but, as Australia went in to bat late on day 3 it was the bowlers who once again ruled, with Brunt and Cross reducing Australia to 57/5 by the close. On day 4 Australia needed their middle order to save them once again, but it wasn’t to be, as Shrubsole and Gunn made relatively quick work of finishing the match off. England now have a commanding 6-0 lead in the series, meaning that Australia will have to win 5 of the 6 one day matches to win the series. In hindsight, perhaps the scoring system does need looking at, with the number of points available for the test reduced or the points available for the other matches increased (maybe 3 for the ODIs and 2 for the T20s), but it’s too late to worry about that now. Australia have a huge uphill battle, but they are now into their comfort zone, being ODI and T20 world champions, this series may still have some twists and turn left to come. Both teams will need to look hard at the performance of their top order batting, neither of which performed well. We are likely to see some changes for the upcoming limited overs matches anyway, but this may encourage both teams to revisit their tactics. Though they now have a commanding lead, Charlotte Edwards’ struggle with a knee injury is still a concern as not only is her batting key, she is also the most experienced player in the team, particularly in Australian conditions. Kate Cross was a huge success on her test debut, giving England’s bowling a real boost, with wickets coming from all their fast bowlers. Australia’s seamers fared well, but they were more reliant on just Farrell and Perry, the latter also having to do more than her fair share with the bat. As predicted, spin played little part in the game, but this could be more influential in the one day games to come. The media coverage has been encouraging, with reports on major UK news outlets and lots of buzz on twitter, but the stadium was almost empty, which I found disappointing after good crowds attended the games in England last summer. Hopefully this will improve for the shorter format games to come. One other positive point was the live video stream on the Cricket Australia website. Whilst it’s a shame there was no live TV coverage, this was a definite step in the right direction and could provide a model for coverage of minority sports. This entry was posted in Ashes, International Cricket, Womens Cricket and tagged Ashes, Australia, Batting, Charlotte Edwards, cricket, ECB, England, Holly Ferling, Sports, T20, Twitter, Women's Cricket on January 13, 2014 by Stumped. To be brutally honest, I haven’t had any desire to write about The Ashes. It’s been thoroughly depressing, not just because England lost, but because of the abject way in which they did so. Australia have been an impressive unit, but such a one sided series does not make for compulsive viewing. Apart from Stuart Broad and Ben Stokes, not a single England player came out of the series with much credit. All is not lost, however, and I’m not just talking about the upcoming One Day and T20 matches. 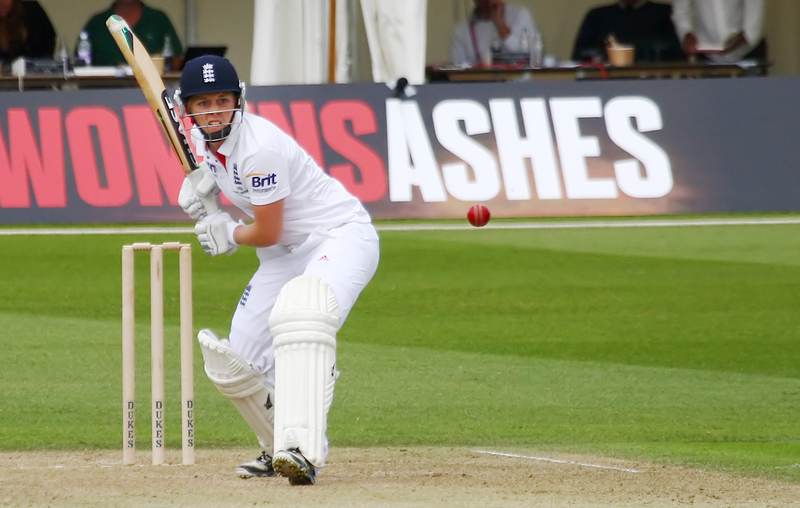 This Friday sees the start of the Women’s Ashes, with a Test Match at the WACA in Perth. Like the men’s team, the women go to Australia as the Ashes holders, but they will be hoping for a very different outcome. This series will follow the same format as we saw in England last summer, with one test match, 3 ODIs and 3 T20 matches. The winner is decided by a points system; 6 points for winning the Test match (2 for a draw), and 2 points awarded to the winner of each of the shorter format matches. England won the series in England by 12 points to 4; after drawing the sole test match, they dominated the limited overs matches, winning the ODIs 2-1 and the T20s 3-0. The format is novel, and the reaction from the players has been positive. It makes for a good contest where almost every match should have some importance and it forces the teams to adjust their line up, tactics and playing style to the various formats over quite a short period. Hopefully, it will also provide a way of saving Women’s Test cricket, which is, sadly, now only played regularly between England and Australia. Back to back Ashes series for the men have felt like too much of a good thing (particularly for England fans), but for the Women, the more concentrated burst of high profile matches should provide a useful boost. The last 10 years have seen big strides being taken in the level of support given to women’s cricket, and the level of media coverage has also improved greatly, but there are a myriad of challenges still to negotiate. Cricket Australia have led the way in offering full time contracts to a number of its senior players, the ECB offer their players a basic level of remuneration, plus opportunities for various forms of coaching work within the ECB and through the Chance to Shine charity, but many still have to hold down other jobs. This is a limiting factor at the moment, but hopefully as time goes on and the level of attention, and more importantly, sponsorship increases, this should improve. Though the series in England last summer was perhaps closer than the final points tally suggests, it was an impressive comeback for England after they had lost both their World Cup and World T20 titles to Australia during the previous 12 months. England’s women will have the advantage of watching the mistakes that their male counterparts made, and they have focussed extensively on training for what awaits them. This included spending a month at Loughborough using bowling machines to replicate the pace and hot conditions they will encounter in Australia. They are led by Charlotte Edwards, who took over the captaincy in 2005 and is one of the most experienced and successful women ever to play for England. Opening the batting with Edwards in the test match is likely to be Heather Knight, who hit a match saving 157 in the test match at Wormsley in 2013 and has started this tour well, scoring 123 in the warm up game against Australia A.
England will look for big runs from their wicket-keeper/batsman Sarah Taylor, who is a very classy player, reliable behind the stumps and with a stylish, positive batting style. The experienced Lydia Greenway also showed that she is coming into this series with good form after scoring 76 in the warm up game in Perth. Their bowling line up will be lead by Katherine Brunt and Anya Shrubsole, both of who have recently returned from injuries. Both are powerful pace bowlers and each have said they are particularly looking forward to bowling at the WACA. It will also be interesting to see whether Kate Cross, who impressed during the tour of the West Indies, can make an impact in this series. One of the benefits of such as varied programme is that both teams will have to be clever in how vary their selections to suit the various formats and conditions they will experience and to deal with any injuries. England’s spin options are less convincing, especially with the recent decision by Holly Colvin to take an extended break from cricket. That leaves the two Danielle’s, Wyatt and Hazell, who will face a tough challenge trying to get the ball to come alive on the Australian pitches. As reigning World Cup and World T20 holders, Australia have a very strong squad, which, as well as being more comfortable in the conditions, will also have played a lot more competitive cricket in the lead up to the series. Like England, they have a very experienced captain in Jodie Fields, who will also keep wicket. Much is expected of their young, newly appointed vice-captain Meg Lanning, who is likely to be their main run scoring threat, but they have runs right down the batting order, from the likes of Jess Cameron, Alex Blackwell, Jodie Fields and even Ellyse Perry. Perry, who has also played international football for Australia, will lead the pace attack and is likely to be a big threat to England’s hopes. Other dangers will include seamer, Rene Farell and spinner, Erin Osbourne. The young, but precociously talented Holly Ferling will almost certainly get a chance at some point in the series, but only time will tell how good she can be. All in all, it is set up to be a closely fought battle between the two best teams in women’s cricket. The sole test match in Perth will be crucial as a win there will set that team up with a very useful 6-0 series lead. Personally, I think Australia might just edge it this time around. BBC Radio 5 Live Extra will have live coverage of most of the series, switching to online only coverage when it clashes with other events. Sky Sports will show live coverage of the 3 T20 matches. England Test and ODI Squad: C Edwards (Captain, Kent), A Brindle (Sussex), K Brunt (Yorkshire), K Cross (Lancashire), G Elwiss (Sussex), L Greenway (Kent), J Gunn (Nottinghamshire), D Hazell (Yorkshire), A Jones (Warwickshire), H Knight (Berkshire), N Sciver (Surrey), A Shrubsole (Somerset), S Taylor (Sussex), L Winfield (Yorkshire), D Wyatt (Nottinghamshire). England T20 Squad: C Edwards (Captain, Kent), A Brindle (Sussex), K Brunt (Yorkshire), G Elwiss (Sussex), N Farrant (Kent), L Greenway (Kent), J Gunn (Nottinghamshire), D Hazell (Yorkshire), A Jones (Warwickshire), H Knight (Berkshire), N Sciver (Surrey), A Shrubsole (Somerset), S Taylor (Sussex), L Winfield (Yorkshire), D Wyatt (Nottinghamshire). This entry was posted in Ashes, International Cricket, Womens Cricket and tagged Ashes, Australia, Batting, Charlotte Edwards, cricket, ECB, England, Holly Ferling, Jodie Fields, sport, Sports, T20, Twitter, Women's Cricket on January 8, 2014 by Stumped. For a number of reasons, 2013 has been a bit of a taxing year, but 2014 sees me embarking on a new career which should hopefully allow me to spend more time on my writing. I have lots of ideas, but sadly I haven’t yet had enough time to develop many of them, and I am looking forward to doing this in 2014. I am currently working on an in-depth preview of the Women’s Ashes, which starts on 10th January and follows a similar structure to the Ashes series that took place in England last summer. 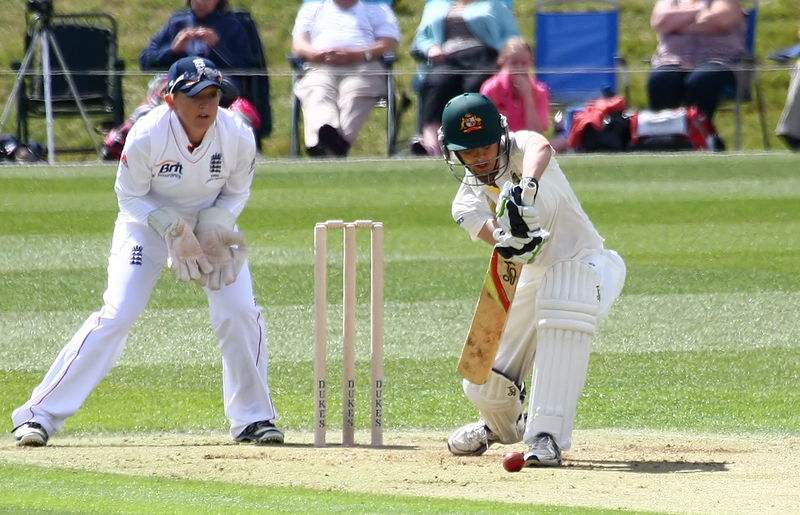 I also plan to countdown to the 2014 County cricket season with a series of weekly previews, each concentrating on one County. This will look back at their successes and failures in 2013, analyse the the players that have come and gone and try to foresee how they might fare in 2014. I also want to write about a number of wider issues, such as the future of Test cricket, the decline of the West Indies cricket team and the difficult question of match fixing in County cricket. As a Kent and England fan, I will look back on 2013 with mixed emotions, but, thankfully with my passion for the game intact, and with lots of excitement for the upcoming year. This entry was posted in Uncategorized on December 31, 2013 by Stumped. This entry was posted in Ashes, International Cricket, Uncategorized and tagged Alastair Cook, Ashes, Australia, cricket, England, Michael Clarke, sport, Sports, Twitter on December 5, 2013 by Stumped. It wouldn’t be a proper Ashes build up without some outspoken comments from Shane Warne, and this time he has focussed his attention on England’s captain, Alastair Cook, who Warne describes as “boring and negative”. On the other hand, he considers the Australian captain (and Warne’s close friend), Michael Clarke (profiled by Stumped here) to be the best captain in the world, despite Australia not having won a test match since January. The two are certainly very different, but what is it about Cook that has made his first year as England captain so successful and how is the battle with Michael Clarke likely to play out on the next 6 weeks? Alastair Cook was born in Gloucester on Christmas day in 1984. He grew up in Essex but his musical talents gained him a place at St Paul’s Cathedral School, where he sang in the choir and learned the Clarinet. He was later awarded a music scholarship to Bedford School but quickly became more interested in cricket, though he maintains that the concentration and discipline required for his music has also helped his cricket. He learned his craft under the tutelage of form Nottinghamshire and England batsman, Derek Randall, who described Cook as a natural. So natural in fact, that at 14, he scored a century against his own school, while playing as a last minute replacement for a visiting MCC XI. Despite his focus on cricket and music, the young Cook still left school with 3 A Levels. Having joined the Essex Cricket Academy at 15, he made his first class debut at 18, quickly establishing himself in his now customary position as an opening batsman. At 21 he made his debut for England against India and his impact was immediate, scoring 60 in the first innings and 104 not out in the second. Over the next 2 years he firmly established himself as an essential part of both the Test and One Day squads. 2009 and 2010 were less productive for him personally and as the focus moved towards the upcoming Ashes series in Australia, there was even talk of him being dropped. He had been trying to improve his technique, but the effect was that his performances got worse, until he finally decided to just accept what came naturally to him and almost immediately started scoring runs again. His performance during the 2010/11 Ashes series in Australia was magnificent, scoring 766 runs in the series and averaging an incredible 127.6 as England retained the Ashes. Not surprisingly, he was named as one of Wisden’s 5 Cricketers of the Year in 2012. At the age of 28 he has already scored more test centuries than any other England player (25) and having already scored 7801 Test runs you feel that only serious injury can stop him beating Graham Gooch’s record of 8900. It’s fair to say that his batting style is patient, rather than adventurous. During a test match against India at Edgbaston in 2011 he was criticised by Geoff Boycott of all people, for not scoring runs quickly enough. The truth though, is that Cook is a master at the traditional art of being an opening test batsman, able to adapt his game to a wide variety of conditions, often providing a rock solid base for other, more aggressive, teammates to build on. His temperament is calm, in fact he’s famous for hardly sweating, even in hot weather, meaning that his ball polishing skills have become a key weapon in England’s bowling attack. When Andrew Straus retired in 2012, Cook was, for many, the obvious replacement and the England management agreed. 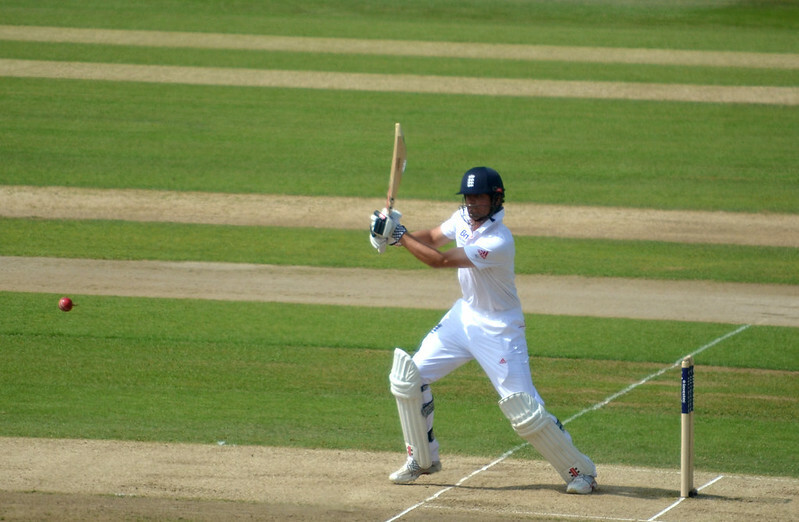 His captaincy began with one of the biggest tests for any England team, a Tour in India, but Cook (and England) excelled and won the series, the first time an England team had achieved this feat in 28 years. As well as the obvious pressures of winning matches, there was also the lingering Kevin Pietersen saga in the background. Pietersen is one of the world’s greatest players, but after his difficult spell as England captain and the furore over texts he sent to his South African friends whilst England were paying a series against them, there were questions about his international future. Cook oversaw Pietersen’s successful return to the England side, a return which, currently at least, is working well for all parties. Pietersen and Cook could hardly be more different, which is probably exactly what England need. Cook may lack some charisma in front of the camera, but he seems to be a popular choice amongst his teammates and a calming influence in the dressing room. His early dealings with the media bordered on frosty, but as time went on (and results have gone his way) he seems to be growing more comfortable in the role. He takes the same, cautious approach to captaincy as he does to his batting and this disciplined approach has been questioned most recently by Warne, but also by others during the Ashes tour in the summer, when even I felt perhaps that, facing a questionable bowling attack, England could have perhaps clicked up a gear at times, to try and finish off their opponents. Of course you’ll never please everyone, and so far, his approach seems to be working well so Cook would rightfully argue that it would be foolish to change it. Playing against Australia brings inevitable comparisons with Michael Clarke, who, like Cook, is a fine batsman, but the similarities don’t go much further than that. Clarke is often praised for his inventive style of captaincy; trying out unusual fields and swapping his bowlers round to stop the batting side getting too comfortable. But then Clarke is captaining a side, which, with the exception of Clarke himself, is lacking in truly world class players. He has no real choice but to make bold decisions, and even when he has, it hasn’t helped their results. Alastair Cook is luckier, in that he is leading a team with perhaps 4 or 5 truly great players, and no real passengers. There is a reason why Michael Clarke was able to name the England team, that is because it’s both a settled and an experienced team, which largely picks itself, while Australia are forced to search high and low for a credible bowling attack. All the time that Cook leads a team of such quality and manages to keep them motivated, it’s hard to see how anyone, bar South Africa, can stop them. Cook doesn’t need to take risks, in fact it would be mad to fundamentally change such a successful formula. The only question, perhaps, is what would happen if England were to wobble and find themselves 2-0 down after the Adelaide test, does Cook have the ability to turn things back their way? The truth is that we don’t know, because he hasn’t been in that situation yet, but what we do know, is that despite the calm exterior, he has a deep desire to win and a keen sense of the historical significance of winning back-to-back Ashes series. This is not a man who is going to crack under the pressure. The Australian media (and Shane Warne) will do what they always do, but you get the feeling that Alastair Cook is happy to just let them get on with it. He’ll speak to the press, of course, but if things go to plan in this series then he will make more noise on the pitch. This entry was posted in Ashes, International Cricket and tagged Alastair Cook, Ashes, Australia, Batting, Carberry, ECB, England, Graeme Swann, Ian Bell, Kevin Pietersen, Michael Clarke, Shane Warne, T20, Twitter on November 20, 2013 by Stumped. This entry was posted in Uncategorized on November 19, 2013 by Stumped.